5 07 2006 Roger Daltrey does song he wrote for Arsenal at closing of team's London stadium. 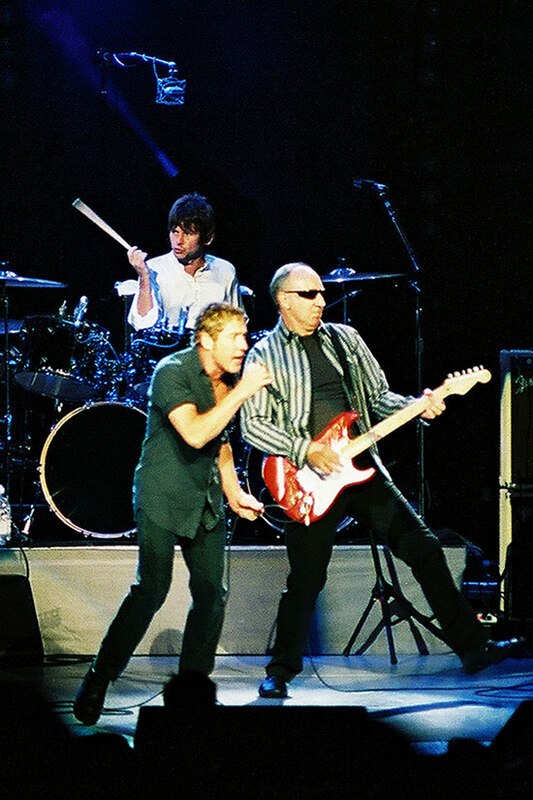 7 16 1996 Who play a week of dates at Madison Square garden performing "Quadrophenia"
1993 Pete Townshend releases "Psychoderelict"
1992 Roger Daltrey releases "Rocks In The Head"
1987 Roger Daltrey releases "Can't Wait To See The Movie"
1986 Pete Townshend releases "Deep End Live"
1985 Pete Townshend releases "White City"
1985 Roger Daltrey releases "Under A Raging Moon"
1982 Pete Townshend releases "All The Best Cowboys Have Chinese Eyes"
4 14 1980 Pete Townshend releases "Empty Glass"
1977 Roger Daltrey releases "One Of The Boys"
1975 John Entwistle releases "Mad Dog"
11 20 1973 Who's Keith Moon collapses onstage, Who recruit drummer from crowd, S.F. 4 13 1973 Roger Daltrey releases "Daltrey"
1973 John Entwistle releases "Riger Mortis Sets In"
1972 John Entwistle releases "Wistle Rymes"
1972 Pete Townshend releases "Who Came First"
1971 John Entwistle releases "Smash Your Head Against The Wall"